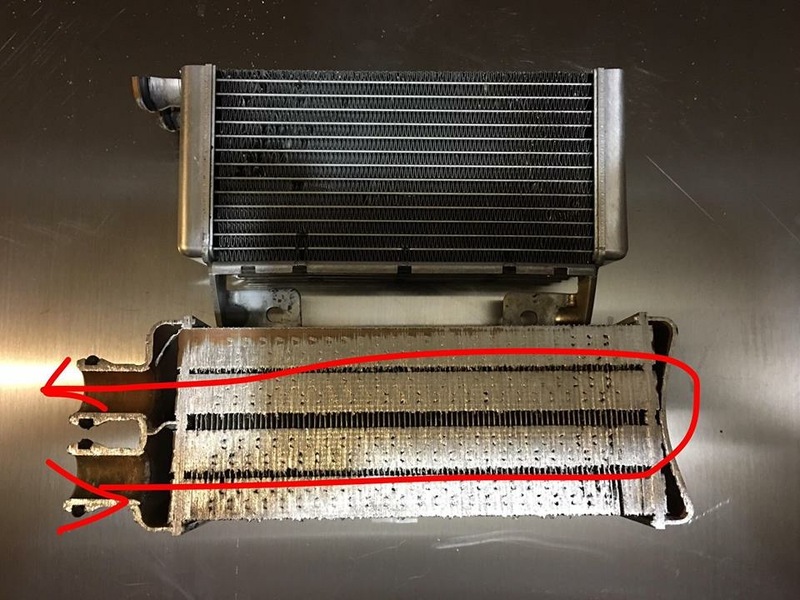 Did you know the end tank in your LSA intercooler brick can collapse even under stock boost pressure? 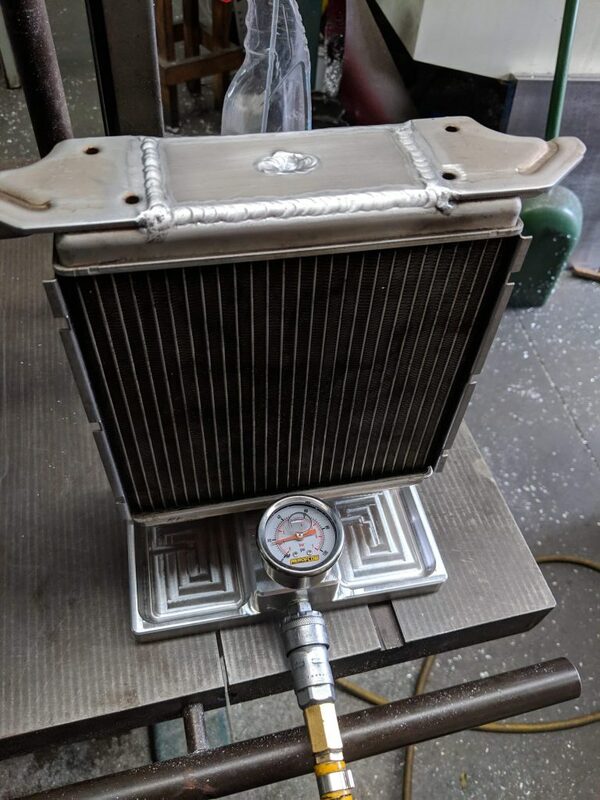 This reduces coolant flow and raises the intake temp. 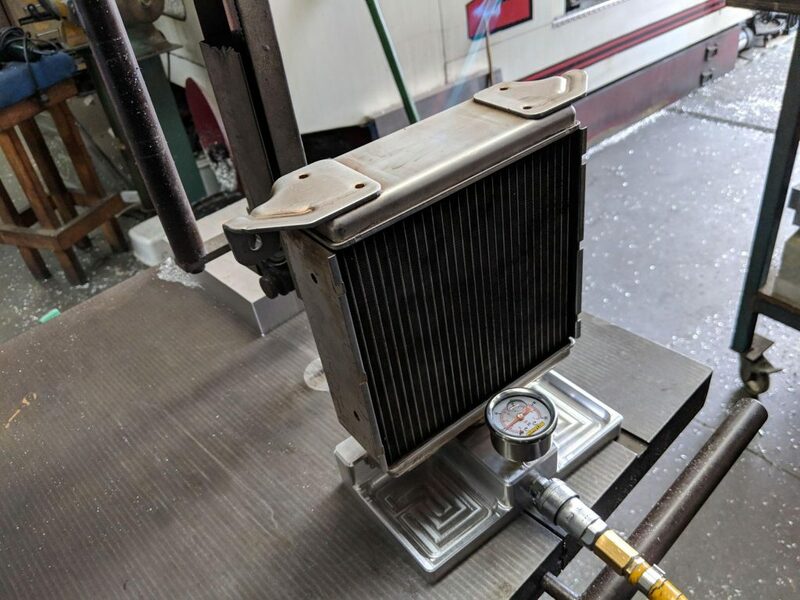 We wanted to show you our test rig we have setup which allows us to pressure test each brick, push the bowed end tank back out with about 20psi of air pressure and a little heat from a blow torch. We then strengthen the end tank by welding a plate to the center and all corners of the brick. The brick is then much stronger and the end tank is unable to bow anymore. After welding we then pressure test the core checking for any leaks. 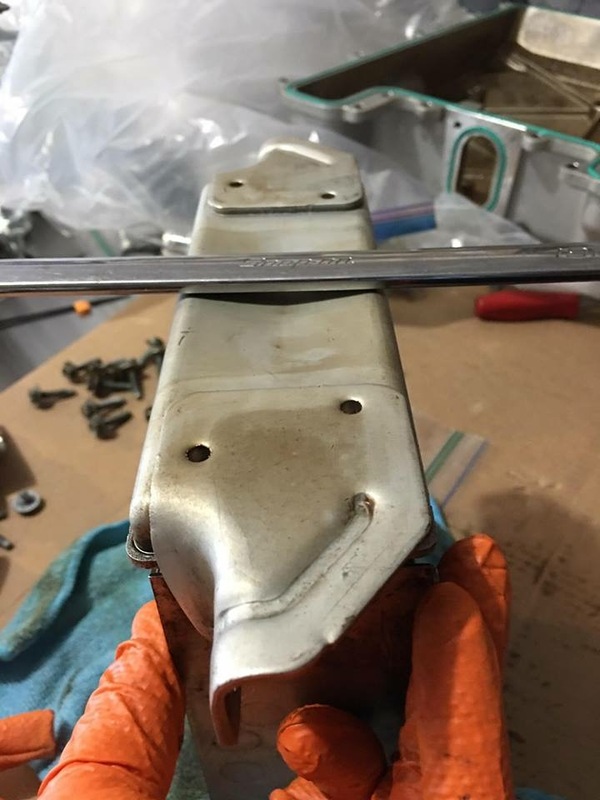 We first noticed this issue on our own car where we were originally crossing the finish line around 40-45c IAT2 then all of a sudden it jumped up to 90c at this point we found the end tank had collapsed. If you own an LSA you need to fix this issue.